Customer service is the primary objective of our Service Program. Our often-praised responsiveness to customer support issues is a key component to achieving this. Essential to attaining customer satisfaction are our experienced service professionals. 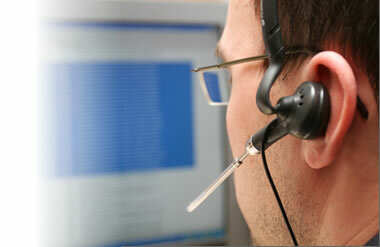 Our customer service engineers provide a level of expertise beyond routine customer service. During system installations, service engineers provide expert installation assistance and offer operational and maintenance training for machine operators and maintenance engineers at your manufacturing facility. Our extensive training programs provide the expertise required to successfully operate your new systems. Amistar will also work with customers to define maintenance schedules and spare parts expectations to ensure reliable, uninterrupted operations. Because each customer facility is unique, the first machine installation often requires a software integration effort. In unison with our service engineers, Amistar's experienced software engineering team plays a key role in quickly integrating equipment into your line and network. Transparent connectivity and optimum machine performance are achieved by cooperatively working with a user’s MIS personnel to align machine communications with enterprise software systems. Once machine installations are successfully completed, our service department stands ready to provide any follow-up assistance required by our customers. Depending upon customer requirements, this may be accomplished through technical phone assistance, an onsite service call, or even direct communication with our knowledgeable engineering team. Should additional training become necessary, Amistar also offers customized training programs for a variety of customer purposes. Regardless of the support level required, we are committed to providing a high level of professionalism that will cause our customers to value Amistar Automations’ products and support.